has reduced borrowings under its asset-based revolving facility. “We’ve fortified our balance sheet in short order,” Baker continued. 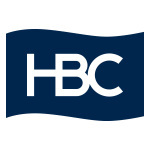 interest in the building held by HBC through a joint venture structure. Avenue, Hudson’s Bay, Lord & Taylor, and Saks OFF 5TH.